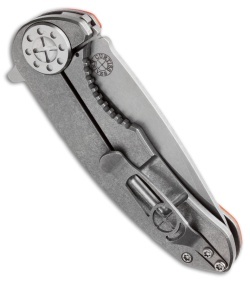 This Curtiss F3 flipper features an orange G-10 scale, titanium liner and a tumbled frame lock. The handle is open built with barrel standoffs. 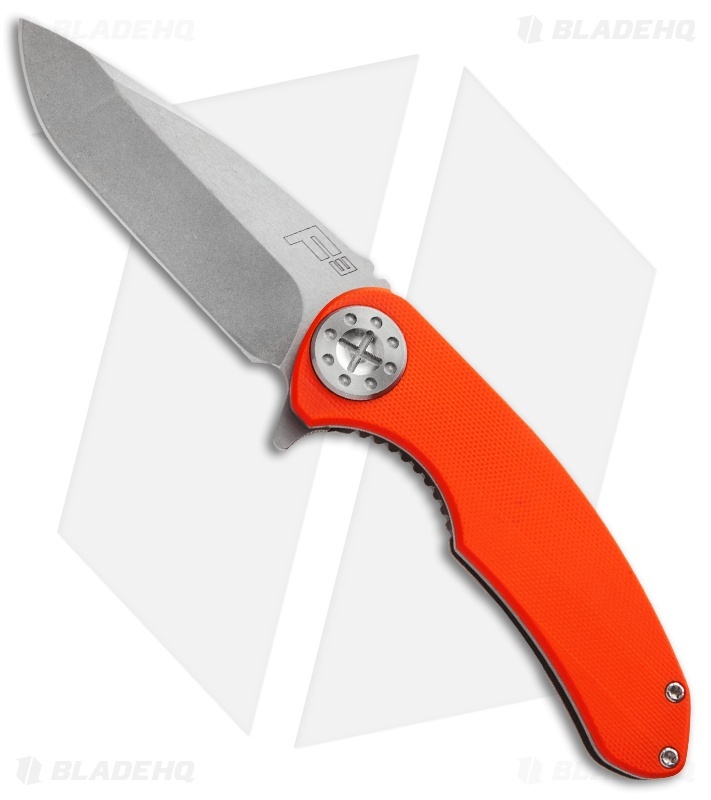 Its stonewashed blade is hollow ground and opens via flipper.